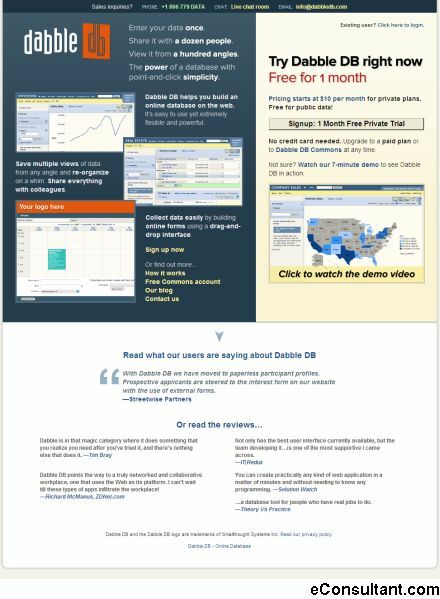 Description : Dabble DB lets you build database applications with no hassle. It’s easy to use yet extremely fiexible and powerful. Unlike a spreadsheet, you can save multiple views of your data from any angle and re-organize it on a whim. And you can share everything with colleagues.